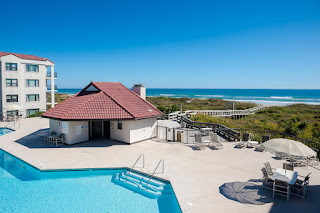 Hardee Hunt and Williams just listed this top level oceanfront 3 bedroom, 2 bathroom condo at Duneridge Resort in Wrightsville Beach, NC. 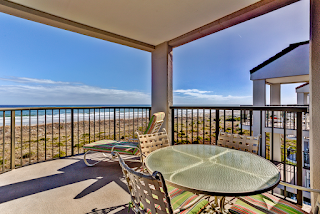 Enjoy approx 35' linear feet of ocean frontage with sweeping views of Wrightsville Beach's quiet north end. 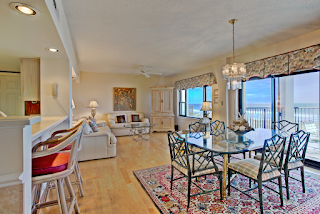 The spacious living area opens to covered balcony and is perfect for unwinding or entertaining. 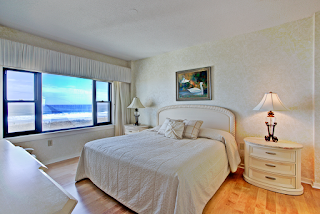 The oceanfront master suite includes private bath and ample walk-in closet. Each of the 2 guest rooms offer dramatic westerly water views overlooking the tidal marsh. This condo conveys fully furnished with few exceptions and the neutral flooring and paint colors are enhanced by hard surface counters. Duneridge Resort owners enjoy an amenity package which is second to none: elevator service, secure entry lobby, covered loading/unloading, elevated oceanfront pool, on-site maintenance, clubhouse, tennis, pet friendly, electric vehicle charging station, and more. For more details including current pricing, click here. 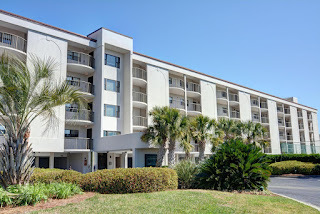 Or call Hardee Hunt and Williams at 910-256-6998 to schedule your private tour of 2400 N Lumina Ave #1408 and Duneridge Resort.